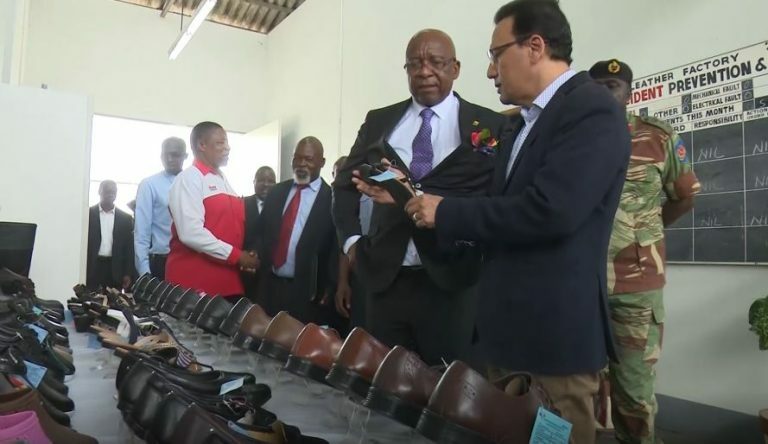 The country’s largest shoe manufacturer Bata Zimbabwe is set to expand its line of production to include safety shoes by mid month as the firm seeks to contain the country’s trade deficit by substituting the import product through producing it locally. The story of Midlands’ development agenda is incomplete without narrating the success story of the shoe producing giant which today stands as the largest manufacturing company in the province judging by the number of workers in the manufacturing sector. This shoe manufacturing company seems to have found its lost mojo as it now boasts of employing 1 300 permanent employees, over 200 more than it used to employ early 2017. According to the company’s managing director Mr Ehsan Zaman, the firm is on the verge of breaking new grounds that could save the country millions of dollars in forex once a financial deal is finalised. “We have been given the go ahead to launch the next phase of our expansion drive. We intend to launch the new line by mid-year once we finalise a half a million dollar loan with our financiers. We want to purchase a safety shoe injection machine and a direct injection machine which will be the first of its kind in the country,” he said. Midlands Minister of State for Provincial Affairs Cde Larry Mavhima who was on a familiarisation tour of the firm expressed government’s commitment in assisting local companies in their development visions. “We have a situation where we lose millions in forex through importing products that we can produce locally. This has to stop as capacitating the local companies can mean a difference in terms of preserving our servings. We will work on our part as government to ensure that you realise your vision,” said the Minister. Going forward, the shoe manufacturing company seeks to refurbish and acquire an additional boiler and a compressor as it seeks to increase efficiency.